Oil is the lifeblood of your engine. If you don’t change it on a regular basis, it can lead to costly problems down the road. 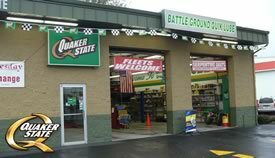 Our auto repair in Battle Ground includes a Quik Lube, featuring Quaker State motor oil to help you prolong the life of your engine. Looking for more? We also offer auto repair in Battle Ground.